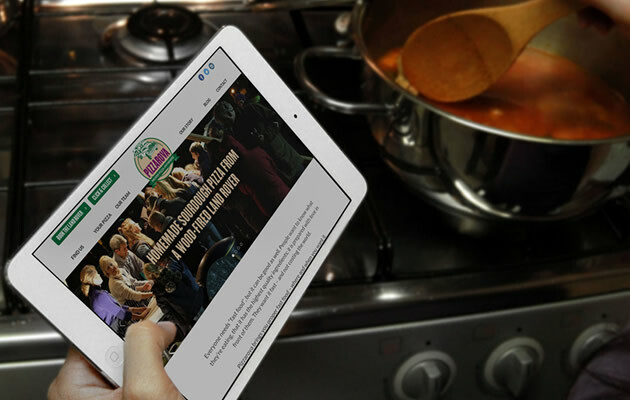 Our latest new website launch is for Pizzarova, a brand new food start-up with a difference. 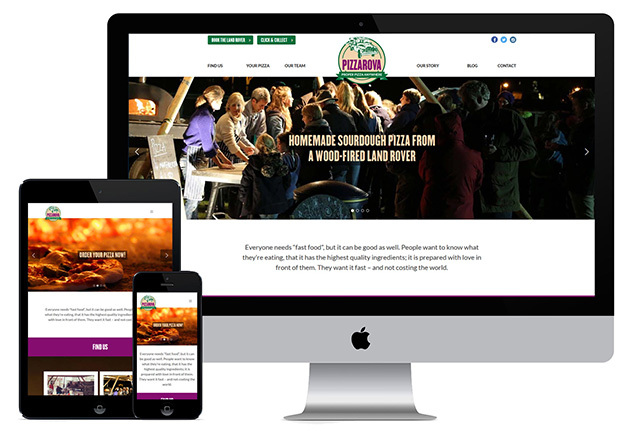 They make high quality pizzas from a wood-fired oven in the back of a Land Rover, with weekly spots across Dorset and Somerset as well as attending local festivals and events. Working with our friends at Digger, we were tasked with revamping their website presence, with a key requirement that the website reflected the personality of the business, their emphasis on high quality fast food, and of course the locations and events that they attend. The design uses large imagery to bring to life the Pizzarova ethos, with the team, the pizzas and of course the Land Rovers all taking centre stage. Developed using WordPress, we have integrated a Calendar to give the Pizzarova team full control over promoting their regular attendances, including recurring weekly events and Google map integration. We also developed a Click and Collect form, allowing users to order their pizzas online ready for collection, a real benefit for customers and also helping Pizzarova bring efficiencies to their business process. We know that Pizzarova have big plans, so we’re looking forward to supporting them as their story continues.